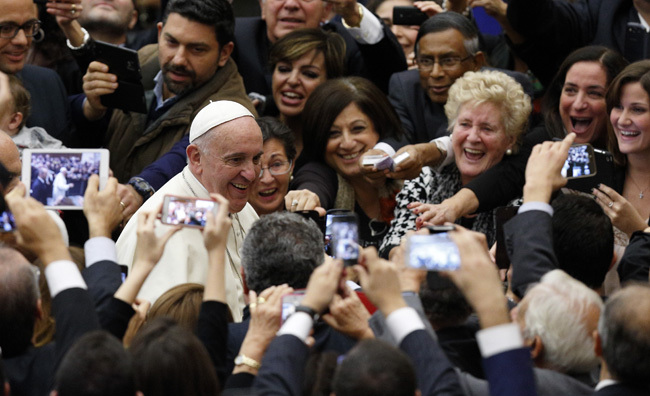 VATICAN CITY (CNS) — Meeting with thousands of accountants from around the world, Pope Francis pleaded with them to remember that behind every piece of paper that crosses their desks there are real human beings. “When money is the aim and reason for every activity and initiative,” he said Nov. 14, everything and everyone is placed at its service, and both solidarity and respect for people decline. Speaking to about 7,000 people participating in the World Congress of Accountants, Pope Francis said the global financial situation particularly highlights the importance of work and the disaster of unemployment.